I’m trying to get my other half to eat more fruit so the first thought is having it as dessert. I love liquor in my desserts, but you could leave it out if you don’t imbibe. Of course, the healthiest way to eat an apple is to grab a fresh one and go to it. But desperate situations require tasty desperate solutions! Prepare the apples, juice the tangerines and lime and put everything in the slow cooker. Many of these have no temperature control so they cook everything on low. If you leave the alcohol out, you may want to add some fruit juice or water. 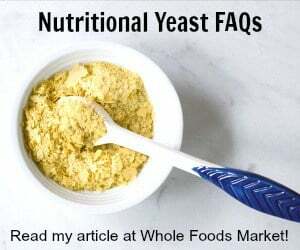 Serve by itself, over low-fat vanilla ice cream (try Soy Delicious - I love the coconut milk one) , over a whole wheat cupcake, even on your oatmeal for a special treat. Wooo!!! Those apples look delicious (and so do the rest of your meals). Thanks for stopping by my blog. I will certainly look here for slow-cooker recipes from now on!!! That sounds so good and I love the idea of serving it over oatmeal. I’m going to try and leave out the alcohol and see if this little trick gets my kid to eat oatmeal in the morning! Fantastic blog! Everything looks fantastic. I can’t wait to try out some of your soups. My only trouble will be deciding which one to start with. thanks so much for this link. I think I am going to be doing lots of great cooking now. These recipes look great – now if I can figure out how to get my hubby to eat a meatless meal (Mr Meat and Potatoes and almost NO VEGGIES Man), but I will try. Thanks for stopping by my blog. I am always looking for easy ways to have dinner on the table (or available when everyone is on a different schedule) without going crazy. I will definitely be stopping back for more recipes and ideas. I didn’t have any issues with my slow cooker crock. If you think you would be away for an extra long time just add some extra water before you leave the house. Oh really. it won’t destroy the pot? Hubby will love this! I’m always looking for more recipe to do in my little dipper crock pot…. this one is perfect! Thanks for linking up to Slow Cooking Saturdays Recipe Swap.